Greetings, friends, on this Ash Wednesday! While it seems late to be starting Lent by looking at the calendar, it still crept up on me just a bit this year. Today I’m enjoying a special family event in Jacksonville, but I wanted to pop in anyway to share my thoughts on Lent for this year. The last several years I have spent Lent focusing on some sort of discipline… listing gifts, collecting items to donate, etc… rather than “giving up” something. But this year I was crystal clear on what I would give up for the next several weeks. So clear, in fact, I almost went ahead with it a few weeks ago. This year, I have signed off my personal Facebook page for the duration of Lent. I will still be active on my business page for Decor & More and also for the Legacy Facebook page. But it was time for a break from my personal Facebook feed. I’m not a Facebook junkie by any stretch. But over the last several weeks I have unfollowed so many people. My personal feed had become nothing but political post after political post — judging those that don’t agree, name-calling, gnashing of teeth, gloom and doom, and just general lack of tolerance. And it was depressing me. And distressing me. 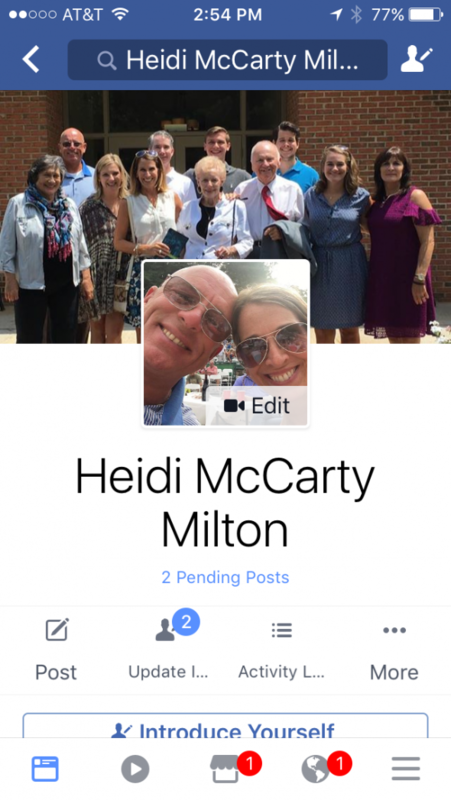 I signed up for Facebook to reconnect with old friends, share and see photos of family and friends, and in general have a fun social connection with others — near and far. And while I have enjoyed all of that for quite some time, these last several months have brought out the worst in us on social media, it seems. And so I’ve decided to take a break. And spend the time I would normally be scrolling through my feed, liking photos and wishing Happy Birthdays just praying for all those Facebook friends I have. I will miss connecting with many of you for a while, but I will be better for having taken the time off. Wishing you all a blessed Ash Wednesday! Feel free to share what you’re doing for Lent this year in the comments!